Relaxed knit pullover in four easily combinable uni-colours, with knit art inspired by rural paintings. The cuddly cotton pullover is a smart textile gem that is adorned with charming embroidery along the round neckline. The colourful flower bouquet functions as a fascinating eye-catcher and makes the easily combinable pullover a very special favourite piece. 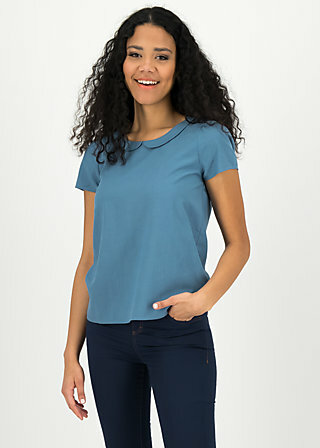 The loose fit, wide sleeves and comfortable ribbed cuffs on the hem and sleeves complete the feel-good piece with bravura and guarantee you great wearing comfort and freedom of movement every day. Fine detail: The uncomplicated round neckline of the pullover is adorned with a delicate puckered edge that completes the folklore piece perfectly. Your textile good luck piece! delightful pullover inspired by folklore!